Alas it is no longer Thanksgiving, but don’t you have something to be thankful for on daily basis? 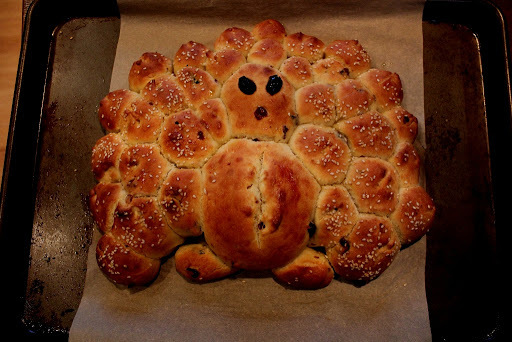 As such, I’m going to share with you photos for a Cranberry Challah Turkey that I created for a family Thanksgiving Dinner, inspired by Pinterest. 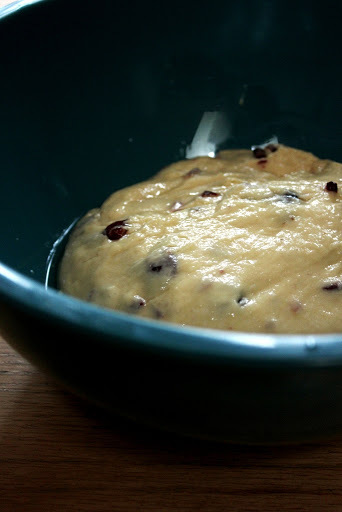 I used the basic challah recipe, adding an extra egg, an extra 1/4 cup of sugar and a cup of cranberries to the dough. 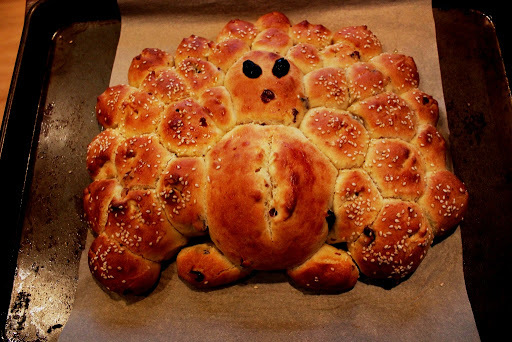 To make the turkey, pinch pieces of challah roll and lightly roll to shape. Place the body, head, feet, and feather pieces together on a parchment lined baking sheet. 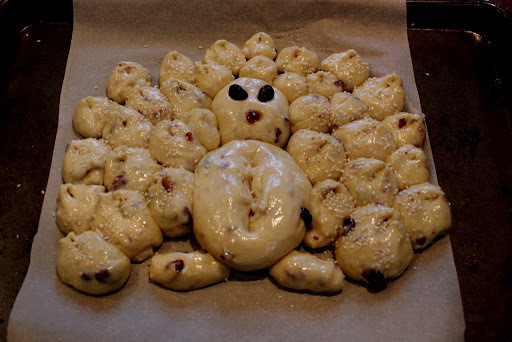 For the face, insert extra cranberries to form eyes and mouth. With a sharp knife, cut slits through the ends of the feathers. Lightly brush the entire bird with an egg wash and liberally sprinkle with sesame seeds. Adults and kids loved this bird! 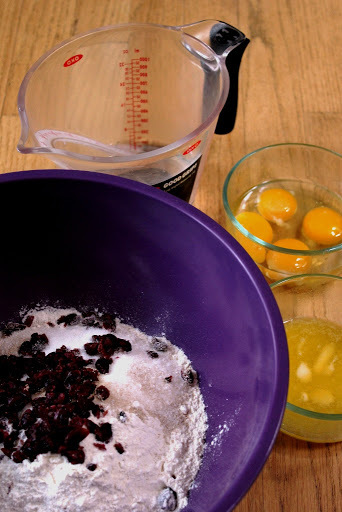 You’ll find the recipe I used here.